Anytime you are in the market for a team of local air conditioning and heating experts, you want to be sure that the team you have helping you resolve all of your heating and cooling needs have a reputation for providing their customers with the kind of service that is both high quality and comprehensive, and here at Mobley Heating & Air, that is exactly what you will find. Here at Mobley Heating & Air, our team of Grayson air conditioning and heating professionals have proven time and time again that we have what it takes to resolve any and all of your heating and cooling issues, no matter how mundane or complex they might be. From minor heating repairs and routine maintenance, to extensive emergency AC repairs and even total system replacement, homeowners and business owners alike have come to know us as a company that provides prompt and professional service that never sacrifices quality for the sake of speed. Here at Mobley Heating & Air, each and every one of our local heating contractors are fully licensed and trained, and have a wealth of experience in the industry. We understand that your heating and air conditioning systems are a very important part of your Grayson home, and as such, we take our work very seriously anytime we are called in to perform a job. If you have any questions about our full line of high quality air conditioning and heating services, or if you would like to schedule an appointment for consultation with one of our specialists, give us a call today. Our team of experts are always standing by and would be more than happy to assist you in any way we can. During the cold winter months, your Grayson home's heating system plays a very important role in making sure that you and your family are able to remain comfortable and cozy inside your house. Because of this, it is important to ensure that anytime your system isn't behaving normally, or you notice that something seems to be off, you call in one of our skilled heating service specialists to quickly and accurately inspect your system and resolve the issue. 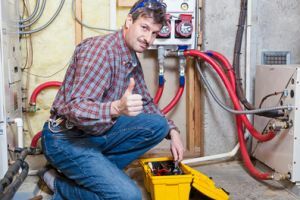 Even the smallest issues can result in major damage down the line if they aren't properly taken care of in a timely manner, and before you know it, that weird noise that you thought was nothing might be the catalyst that causes your entire system to shut down in the middle of a cold winter night. Where you are in need of major repairs, or you are just looking to have your system tuned up to make sure everything is running smoothly, our team of professionals are standing by and ready to help. If you are looking for Air Conditioning & Heating specialists in Grayson, then please call (770) 939-6998 or complete our online request form.